Probably the most exciting time in my catalog of hunting memories are those seconds when ducks or geese are committed to the decoys, just before the hunters rise to shoot. I think this is because of the work and skill that goes into making this happen. First, decoys have to be set correctly for the conditions. Then, the birds must be spotted and attracted to check out the decoys while not alerting them it’s a ruse. During this time, the hunters must avoid detection and not overcall, tipping off the quarry. Finally, the moment of exposure must be timed correctly so the birds are in just the right place to allow the hunters a good shot. As Cherie and I crouched in the pit blind in a levee outside Lake Charles, Louisiana, this week with Bryan Morris, of Calcasieu Charter Service, my heart was pounding. In the interest of not tipping off ducks that had been shot at over floating decoys numerous times on their long journey from Canada, I’d kept my head and face down while Brian worked the birds. Until the moment of truth, only the man operating the call really needs to see the birds, and these ducks were wary of faces or movement. 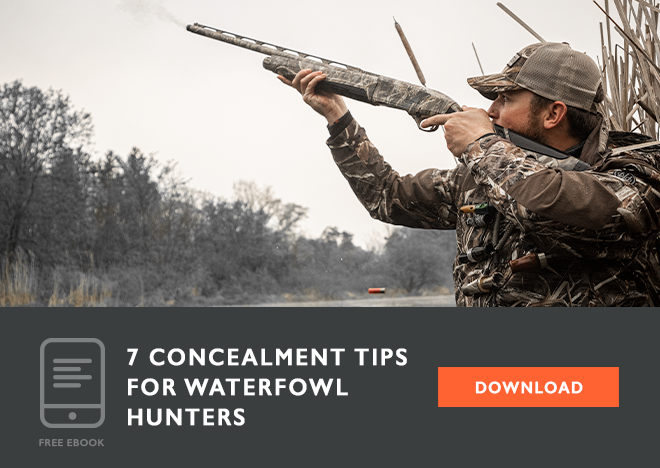 When Bryan whispered, “They’re straight in front and coming in, let’s take ‘em,” I straightened up and saw three Mallards in panic mode, trying to make a fast left turn. This put the drake on my left in full profile straight ahead. I swung from behind and when the gun fired, I saw him crumple. I swung on the bird he was following and repeated the process, whether Bryan’s shot or mine arrived first, I have no idea, but he was going down in a tumble. I realized my first bird had regained composure and was about to fire another shot when he folded in mid-air and went down. Duck hunting is exhilarating. 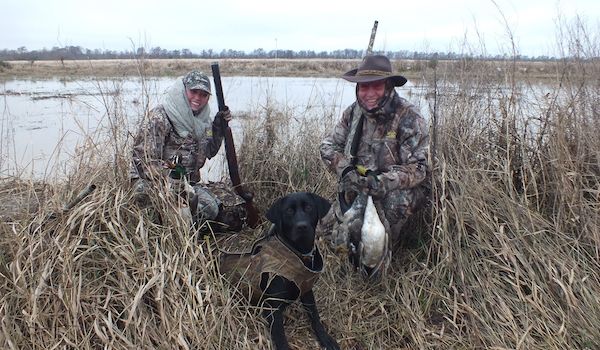 Calcasieu Guide Service provides duck and goose hunting and red and speck fishing trips for sportsmen from all across the country. They have a 20 bed lodge in the little community of Hebert, a few miles south of Lake Charles. In addition to a comfortable place to stay and great gumbo, they provide waterfowl hunts during the season and great speckled trout and redfish trips during the fishing months. Louisiana vehicle license tags tout the state as a Sportsman’s Paradise, but there’s a lot more to Lake Charles than just hunting and fishing. One of the fastest growing business locations in the south, Lake Charles area has four casinos and fabulous Creole and Cajun food. My new favorites for consumption on fishing boats and in blinds is boudin, a pork and rice sausage that’s unique to the Southwest Louisiana area. The biggest festival event is Lake Charles Mardi Gras, a more family oriented celebration than the New Orleans version focused on family related activities and the great food of the region. 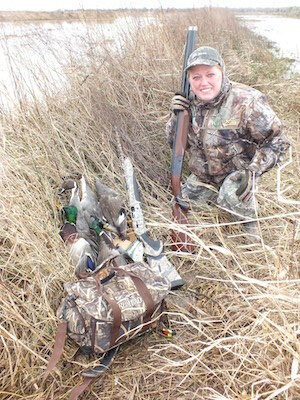 For those only interested in pulling a trigger and not suffering the indignities of cold weather and mud during duck hunts, the area also hosts the Crawfish Cup, a warm-up match for the National Action Pistol Championship Bianchi Cup, held in Missouri. The Crawfish Cup provides serious ‘Cup shooters with a warm-up match in a great location just one week before the Championship. It’s an event I plan to attend this year. While the recent rains made working the speckled belly geese that are the feature of many Lake Charles hunts a challenge, we certainly worked on the ducks. Shooting drakes only, we managed three mallards, a gadwall, and two beautiful pintails. It was a wonderful morning of duck hunting. With the duck hunt over, we headed back for two bowls each of Crystal’s gumbo. Stuffed to the gills, we reluctantly packed up and pulled out. Access to the levees is done with a four wheeler. Guide and hunters ride the ATV and tow decoys and gear. As Cherie and I pointed the Nissan Pathfinder west on I 10, full of gumbo and lounging in the luxury of heated seats, we talked about how much we love Lake Charles. We were already planning our next trip before we were ten miles out of town. I’m thinking a combination Cast and Blast trip. Shoot the Crawfish Cup and fish for reds and specs, but we’ll work on that later. 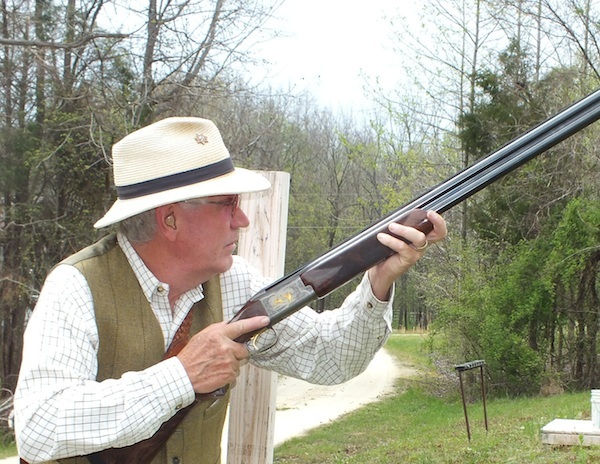 Now we’re heading to Bourne, Texas, for a combination bird hunt and sporting clays in the Beretta Trident Lodge, Joshua Creek. Man, the stuff we have to do for our jobs.